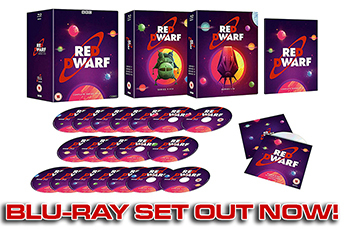 There are more ways than ever to get episodes of Red Dwarf on your TV these days - a far cry from the days some of the series weren't even available on VHS! From Netflix to iTunes, Amazon to BritBox, you're well covered if you want to either buy and keep, or stream on subscription, all twelve series of the show. But it's always good to see the show's availability expanded even further, and that's what will be happening shortly - as, from April 2019 onwards, Red Dwarf is one of a multitude of UK comedy and drama series that will be added to the Sky and Now TV on-demand services. Sky, of course, is the digital satellite platform that offers subscribers a wide range of on-demand boxsets direct to their set-top boxes in addition to all the live channels available; while Now TV is the same company's internet-based on demand service, available on mini boxes, streaming sticks and some smart TVs. The shows coming to Sky and Now TV are all BBC shows distributed under the UKTV banner - and Red Dwarf is among the first crop to land, which also includes the likes of Absolutely Fabulous, Blackadder, The Royle Family, Little Britain, Open All Hours, The Young Ones, Keeping Up Appearances and Extras. Episodes of Red Dwarf are already periodically available on Sky due to their linkup with the UKTV Play catchup service - if an episode has recently been shown on Dave then it may be available for a while, and the most recent three series are all part of the fixed UKTV Play catalogue. But going on in boxset form means that all the episodes should be continuously available irrespective of their recent broadcast status. 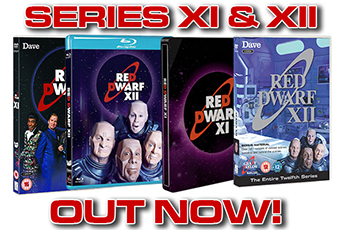 Find out all the ways you can watch Red Dwarf on TV and smart devices in our Watch section! 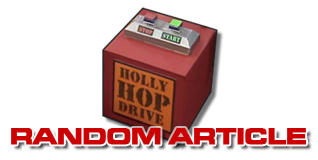 Got a question about Red Dwarf or this website? Check out our FAQ section and see if we've got an answer for you! © 2019 Grant Naylor Productions. All rights reserved.